Find Out about this amazing evaluative tool. Locate a Medical Intuitve in your area. Discover classes & events in your town. Article on health, healing & wellness. Author and SoulHealer, Dr. Rita Louise represents the leading edge of holistic health and mind/body healing. Dr. Louise is uniquely trained in multiple disciplines that most directly affect the lifestyle-change process but it is her unique gift as a medical intuitive and clairvoyant that illuminates and enlivens her work. Let Dr. Louise act as your personal guide, teacher, motivator, and fan club president. While most therapists, dietitians, physicians, chiropractors and other specialists are trained to focus on a particular component your life and lifestyle, Dr. Louise can provide guidance across a variety of lifestyle domains. Dr. Louise's practice offers solutions to any problems that might be found resulting in harmony, balance, strength, and vitality in your life. 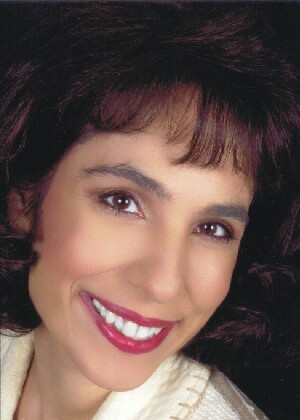 Dr. Rita Louise is a 20-year veteran of the alternative health field. She provides guidance, support, and encouragement as you begin to create a balanced life. With the help of Dr. Louise, you will find the means to succeed in life both personally and professionally. Dr. Louise can offer deep insights into the state of your life through non-evasive means. As Dr. Louise looks into your body, mind, and spirit, she can unlock secrets about physical, emotional, and spiritual issues that can cause your life to run off course. Founder of the Institute Of Applied Energetics and author of the books Avoiding The Cosmic 2x4 and The Power Within – A Psychic Healing Primer, Dr. Louise credits early childhood influences for the direction her life would take. By the age of 12, she began searching for spiritual self-discovery pursing topics including health and wellness, philosophy and the esoteric arts and sciences. A graduate of the Berkeley Psychic Institute, Dr. Louise has earned the distinction of Naturopathic Physician, Certified Hypnotherapist, Reiki Master and has rounded out her education with a Ph.D. in Natural Health Counseling. A frequent consultant to the media, Fox 4 and Channel 5 News has reported on Dr. Louise 's groundbreaking work. She has spoken to organizations including the Naturopathic Medical Association, the American Podiatrist Association, and the Texas Department of Health. She has been a featured guest on KZOK radio, Second Site, and Out Of This World Radio. She has contributed articles to publications such as Fate Magazine, Today's Dallas Woman, Inner Self Magazine, Holistic Health News and The Psychic Journal. The founder of the North End Psychic Fair and former Pastor for the Church of Divine Man, Dr. Louise currently runs a private practice and works as a part time professor at Westbrook University. She is the Chairman of the Board for the International Association of Medical Intuitives, a member of the Naturopathic Medical Association and has served on the Board of Directors for the Holistic Chamber of Commerce. Through her work, Dr. Louise has been recognized by National Register's Who's Who in Executives and Professions. Dr. Louise is married, has two children and lives in Dallas, TX. So, whether it is a physical problem, an emotional issue, a problem at work or a problem in a relationship, Naturopath and medical intuitive, Dr. Rita Louise, ND, PhD can offer you deep insights into what is really going on and provide you with straightforward guidance and holistic advice. Dr. Louise is located in East Texas. However, all alternative health and medical intuition services are offered in person, by phone and via Skype. You get the convenience of working one-on-one with Dr. Louise at a time and place that fits your busy schedule whether you live in Texas or not. Arrange for your initial appointment today. Contact Dr. Louise at 972-475-3393 or visit her website at medical-intuitives.com or soulhealer.com.